When I first read about this dish, I wasn’t at all convinced that it would be good. 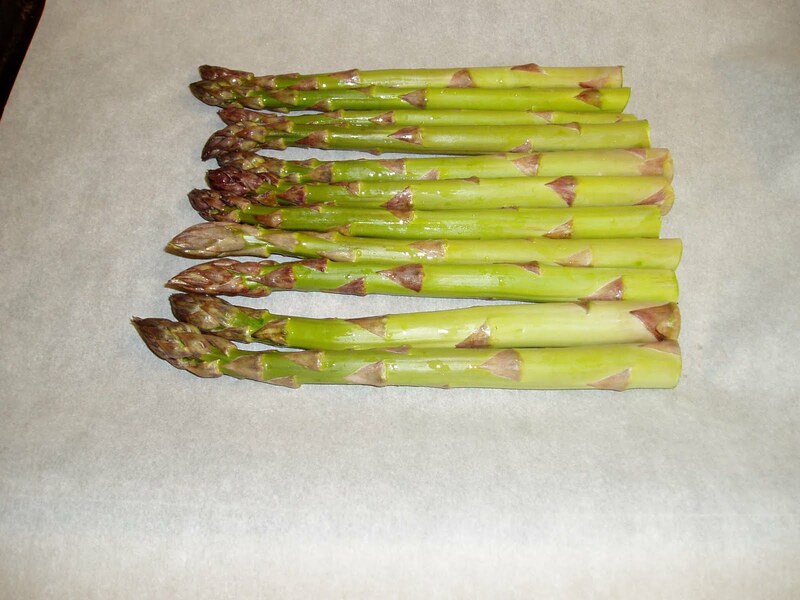 I mean, who cooks asparagus for 90 minutes??? 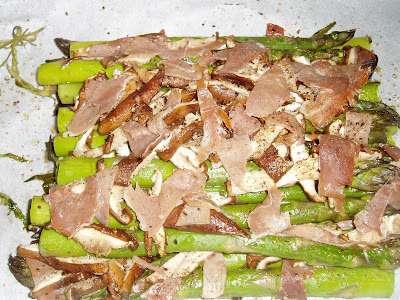 But the result was tender, slightly crisp, absolutely delicious asparagus. 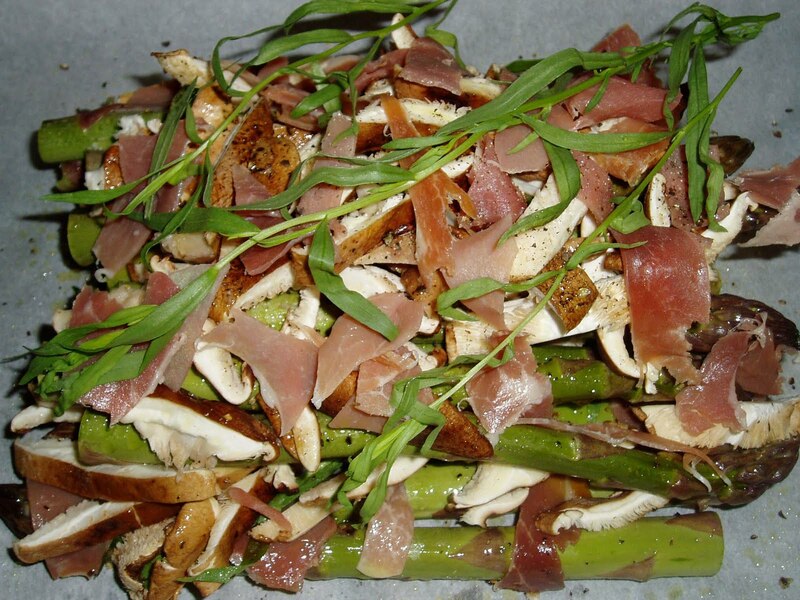 I’ve honestly never enjoyed it more than I did in this dish!! I washed about a pound of asparagus and cut off the woody stems. 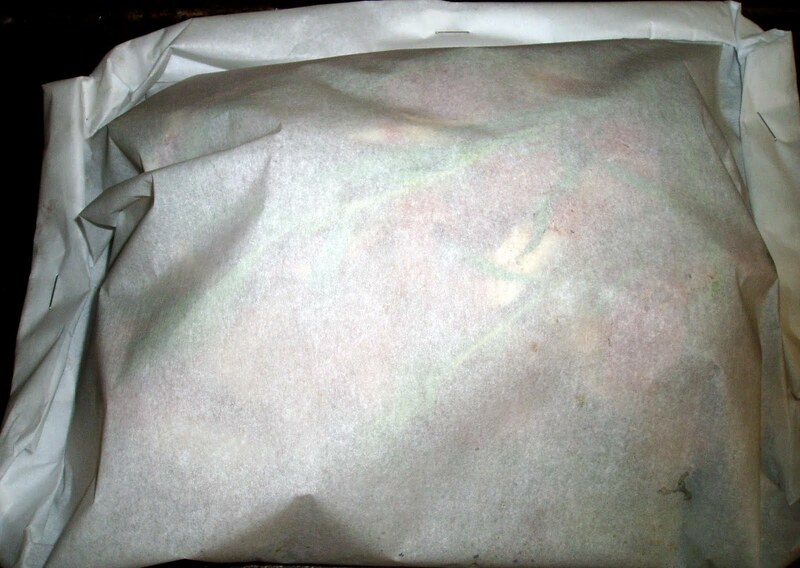 Laid half of these on parchment paper (a very large sheet) on a baking tray. 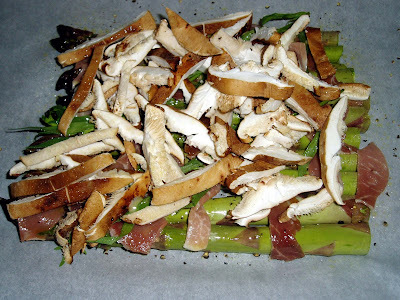 Then I started layering some sliced shiitakes and sliced prosciutto on top of the asparagus, as well as seasoning with plenty of freshly ground black pepper, Celtic sea salt, a couple of sprigs of fresh tarragon and some freshly grated nutmeg. Next, I added another layer of the same ingredients (spraying everything on both layers with some extra virgin olive oil). To complete the package, I folded the parchment up and stapled the edges. 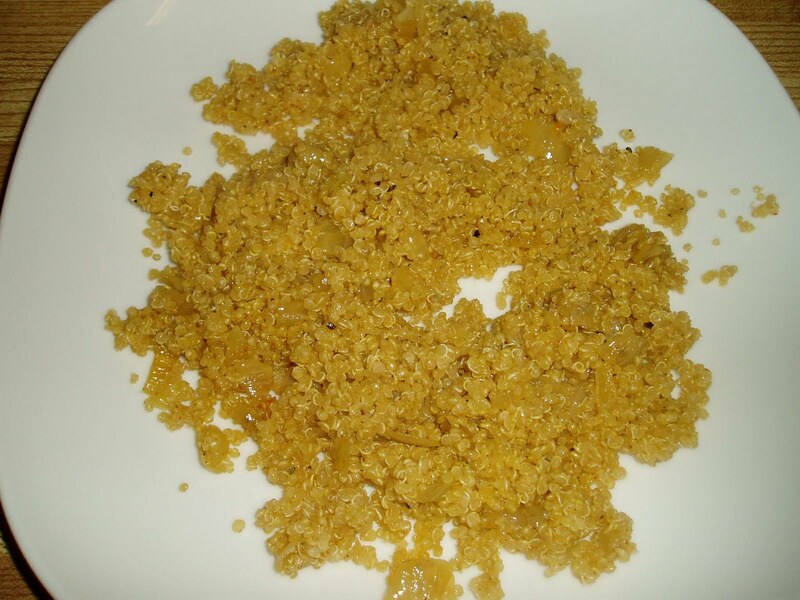 This was baked in a 200F oven for 90 minutes and then I opened it up to see this delicious result!!! To serve this dish, I put some quinoa (cooked with onions, coconut oil, Celtic sea salt, freshly ground pepper and lots of cayenne) on a plate. 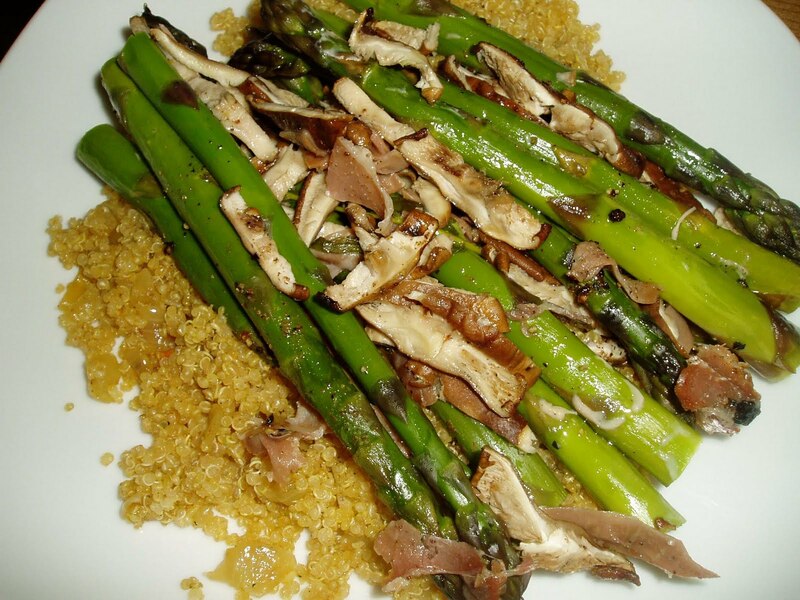 Then I topped the quinoa with the asparagus mixture and promptly gobbled it up. It really was fantastic!! I will definitely be making this again very soon.